10 Things You Must Know Before Purchasing Telephone Headsets. - Headsets Direct, Inc.
10 Things You Must Know Before Purchasing Telephone Headsets. Cords – Corded headsets are the least expensive, easy to install and use, provide the best quality, and are extremely durable. Wireless – Wireless headsets increase your productivity allowing you to roam and multi-task. 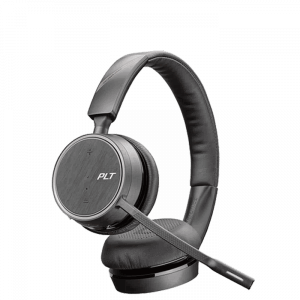 The quality is nearing that of corded headsets, and battery life is becoming a non-factor with newer technologies. Grade – Commercial grade office headsets last longer, have better quality and have more wearing choices to pick from. Replacement accessories are also available to make your headset look and perform like new when needed. Compatibility – Avoid frustration and make sure that the headset is compatible with your phone. You may need an amplifier, a direct connect cord or special adapter for your headset to function properly. An authorized dealer with properly trained customer service staff can help you ensure compatibility. Comfort – Find a headset that’s comfortable. If it’s not comfortable, you won’t use it and you’re wasting your money. When you find the right headset, it should be lightweight, fast and easy to put on and you should forget you are wearing it. Durability – How well a headset holds up is another key factor in the selection process. Make sure that any ear pieces or headbands are attached securely to the headset and avoid any lightweight, flimsy looking attachments. Exchanges – You are busy and you may not be able to give your new headset a fair test run if you only have a few days for exchanges/returns. When choosing a headset supplier, look for a return policy so you’re not stuck with a headset investment you won’t use. Warranty – It is important to understand the handling of warranty problems and length of warranty before you purchase. Some retailers shorten the actual warranty provided by the manufacturer hoping that you will purchase a new unit instead of asking about a replacement. Price – The saying “you get what you pay for” applies to headsets as well. You may be tempted to save money and purchase your headsets on-line at an auction or from a distributor that only “moves boxes” but soon discover you are missing cords, ear pieces, headbands or other accessories. Satisfaction – All headsets are not created equal. You can find $40-50 headsets from your local office supply store which will only frustrate you and leave you with a negative feeling toward headsets. Once you find a high quality, durable and comfortable headset, you will find complete satisfaction and you will never talk on the phone without a headset again.